"FACES CAN LIE BUT FINGER PRINTS NEVER"
The idea that fingerprints could be used as a means of personal identification was first put forward by Sir William Herschel, District Magistrate of Hooghly District, of Bengal province in 1858. Later, Dr. Henry Faulds gave the idea of tracing a criminal from the latent prints found at the scene of crime and came to the conclusion that no two fingerprints are alike. Based on the idea of Herschel and Faulds, Sir Francis Galton, the renowned English Scientist established scientifically the basic principles of uniqueness and permanency in Finger Prints. It was then that Sir Edward Richard Henry, the Inspector General of Police, Lower Bengal with the able assistance of two Indian officers namely, Khan Bahadur Azizul Haque and Rai Bahadur Hemchandra Bose, developed a system of classification of fingerprints, thereby discarding the anthropometric system of identification. The first ever Finger Print Bureau in the world was established at Writer's Building at Calcutta (now Kolkata) in the year 1897. The Central Finger Print Bureau better known by acronym, CFPB came into being in 1955 in Calcutta (now Kolkata) under the administrative control of the Intelligence Bureau. In 1973 the administrative control was transferred to CBI and it was in July, 1986 that the CFPB was finally placed under the administrative control of the newly formed National Crime Records Bureau and is located at East Block-7, R.K.Puram, New Delhi 110066. To maintain Finger Print Record Slips, conduct search of specified categories of Indian and foreign criminals convicted of offences falling under the schedule of crime of CFPB, and also, to maintain records of international criminals sent by the Interpol Division of CBI and Narcotics Control Bureau, New Delhi. To undertake examination of questioned finger impressions referred by Central Govt. departments and Govt. of India undertakings. To impart training in F.P. Science (Theory and Practical) to police and non-police personnel of State Govts. in India and personnel from foreign countries under 'Technical Co-operation Scheme' of Colombo Plan, 'Special Commonwealth African Assistance Plan' and International Technical and Economic Co-operation' with other developing countries. 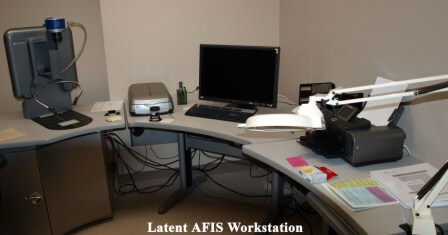 To Co-ordinate the work of the State Finger Print Bureaux and give necessary guidance in all matters relating to F.P. Science.To conduct All Indian Board Examination (since 1956) every year for accrediting the Finger Print Experts. The eligibility to appear in the examination is a graduate from a recognized university and who has completed three years practical experience in finger print work. To conduct All Indian Board Examination (since 1956) every year for accrediting the Finger Print Experts. The eligibility to appear in the examination is a graduate from a recognized university and who has completed three years practical experience in finger print work. To conduct competition in Finger Print Science at the All India Police Duty Meet (since 1958) annually. The Indian Version of Automated Fingerprint Identification System (AFIS) is called FACTS, which was co-developed, by NCRB and CMC Ltd., India, The current version of FACTS is 5.0. The system uses Image Processing and Pattern Recognition technique to capture, encode, store and match fingerprints, including comparison of chance prints. It uses pattern class, core and delta information, minutiae location, direction, neighbouring information, ridge counts and distances, density, type, print background/foreground information etc. for matching Finger Prints. Apart from the above details, FACTS also stores non-fingerprint information or demographic details like gender, region and conviction details. At the Central Finger Print Bureau, all the questioned documents involving disputed Finger Prints are examined and opinion given regarding their identity or otherwise. The service is free of charge for all Government agencies and Public Sector Undertakings. In case of private agencies or individuals, the documents should be routed through Govt. agencies.